It’s been over a year since Prime Minister Stephen Harper and President Barack Obama announced the Beyond the Border and the Regulatory Cooperation Council action plans. 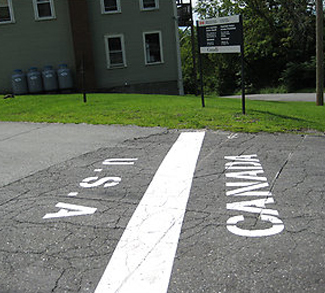 On December 14, 2012, the U.S. and Canada issued the Beyond the Border implementation report that highlights the objectives that were achieved over the past year and the work that has yet to be done. It explained that moving forward, “Key future initiatives include harmonizing our trusted trader programs, making significant infrastructure investments at our key land border crossings, fully implementing an entry/exit program at the land border, expanding preclearance operations to the land, rail, and marine domains.” The report also acknowledged challenges facing the Next-Generation pilot project which would permit teams of cross-designated officers to operate on both sides of the border. It was originally scheduled to begin last summer. While steady progress has been made, a lot more work is needed to meet the goals of the Beyond the Border action plan. Over the next several years, other aspects of the deal will be phased-in incrementally with specific deliverables due this year, in 2014 and also in 2015. Another important facet of the economic and security perimeter agreement is the U.S.-Canada Regulatory Cooperation Council (RCC). A progress report to the leaders outlines accomplishments made in aligning regulations in the areas of agriculture and food, transportation, the environment, health and personal care products, workplace chemicals, as well as nanotechnology. This includes cooperation on pilot projects, scientific and technical collaborations and harmonized testing procedures. RCC working groups have developed detailed work plans for the various initiatives with objectives that will be implemented over the next couple of years. In Canada, some fear that deepening regulatory integration with the U.S. could weaken and erode any independent regulatory capacity. This could lead to a race to the bottom with respect to regulatory standards. In December of last year, the U.S. and Canada signed the Immigration Information Sharing Treaty which is tied to the Beyond the Border deal. Citizenship, Immigration and Multiculturalism Minister Jason Kenney stated that the, “agreement builds on our countries’ mutual efforts to protect our common borders and the surrounding perimeter, through improved screening of immigrants and visitors.” He went on to say, “Enhanced information sharing of foreign nationals will protect the safety and security of Canadians by helping us prevent terrorists, violent criminals, and others, who pose a risk, from entering Canada or the United States.” Under the treaty, Canada and the U.S. will share biographic information from third country nationals who apply for a visa, a travel permit or claim asylum. In 2014, it will also include the sharing of biometric information. There are privacy concerns on how far-reaching the data collected will be shared. This threatens the sovereignty of Canada with regards to retaining control over information at its own borders. On December 28, 2012, President Obama signed into law, the Countering Iran in the Western Hemisphere Act which is designed to curb Iran’s presence and activity in the region. The bill calls on the Department of Homeland Security to work with Canada and Mexico, “to address resources, technology, and infrastructure to create a secure United States border and strengthen the ability of the United States and its allies to prevent operatives from Iran, the IRGC, its Qods Force, Hezbollah, or any other terrorist organization from entering the United States.” Julie Carmichael, spokeswoman for Public Safety Minister Vic Toews discussed Canada’s efforts to counter any perceived hostility from Iran in the Americas. She is quoted in the Globe and Mail as saying, “We continually assess threats while co-operating with international partners, including the U.S., to address threats to our common security.” Carmichael added, “The Beyond the Border Action Plan as announced by Prime Minister Harper and President Obama provides a framework to identify threats before they reach North America.” Under the perimeter security deal, Canada is further aligning itself with U.S. foreign policy interests and could be expected to play a greater role in the global war on terror. Through the Beyond the Border agreement, the U.S. and Canada are deepening economic and security integration which is laying the foundation for a North American security perimeter. Both countries are also engaged in the Trans-Pacific Partnership negotiations with Mexico and other member nations. This is part of efforts to create a free trade area of the Asia-Pacific and could be used to update and expand NAFTA. Another key priority for U.S.-Canada relations is North America’s energy future. President Obama is expected to make a final decision on the Keystone XL pipeline sometime this year. Meanwhile, there is growing environmental opposition to the proposed project which would carry oil from western Canada to the Texas gulf coast.